Excellent from the start and was satisfied all the way. 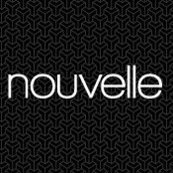 Nouvelle has been fantastic all the way. From Rob the designer to Steve the checker and then Drago who superbly put it all together. All interaction with Nouvelle (excluding the installation phase) was excellent! Hello Peter, thank you for the review, we really appreciate customers taking the time to write about their experience with us. We will pass your kind comments to our trades team.